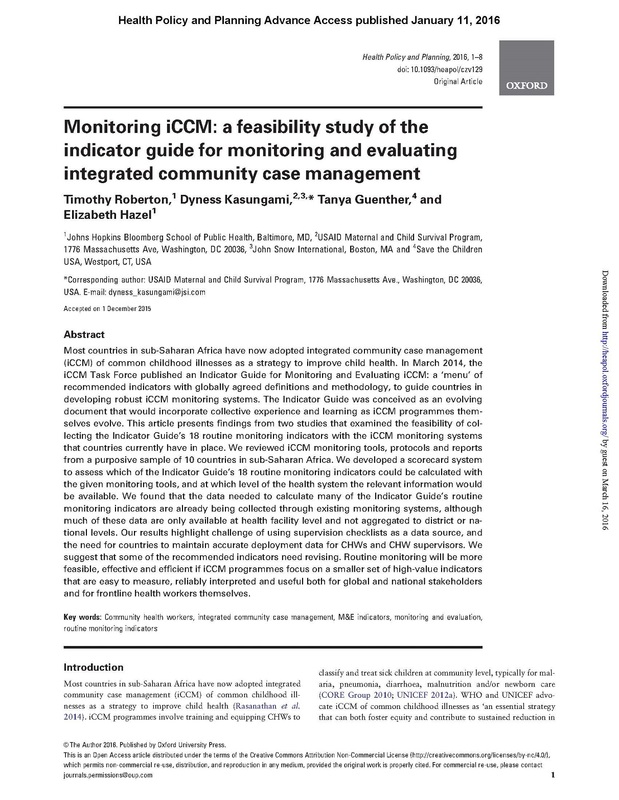 In March 2014, the iCCM Task Force published an Indicator Guide for Monitoring and Evaluating iCCM: a ‘menu’ of recommended indicators with globally agreed definitions and methodology, to guide countries in developing robust iCCM monitoring systems. The Indicator Guide was conceived as an evolving document that would incorporate collective experience and learning as iCCM programs themselves evolve. This MCSP co-authored article, published in the journal Health Policy and Planning, presents findings from two studies that examined the feasibility of collecting the Indicator Guide’s 18 routine monitoring indicators with the iCCM monitoring systems that countries currently have in place. The authors found that the data needed to calculate many of the Indicator Guide’s routine monitoring indicators are already being collected through existing monitoring systems, although much of these data are only available at health facility level and not aggregated to district or national levels. 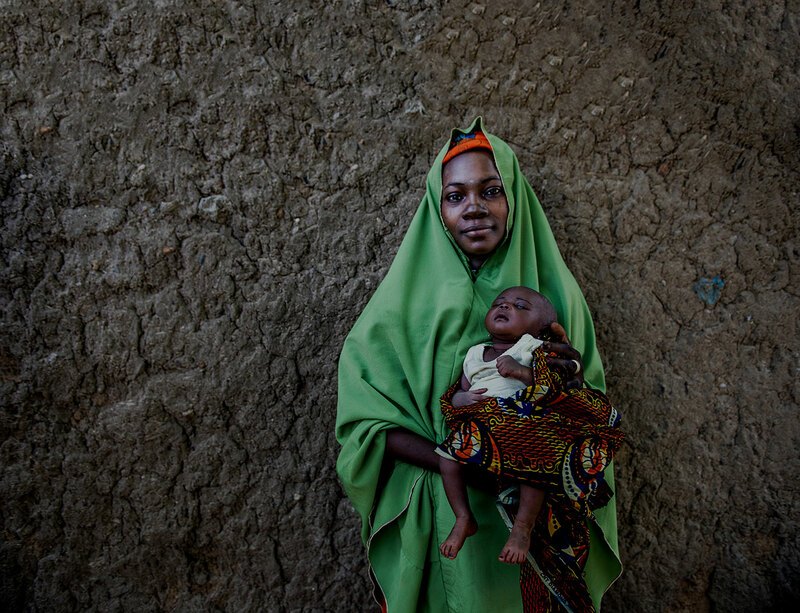 The results highlight challenge of using supervision checklists as a data source, and the need for countries to maintain accurate deployment data for CHWs and CHW supervisors. The authors suggest that some of the recommended indicators need revising. Routine monitoring will be more feasible, effective and efficient if iCCM programs focus on a smaller set of high-value indicators that are easy to measure, reliably interpreted and useful both for global and national stakeholders and for frontline health workers themselves.